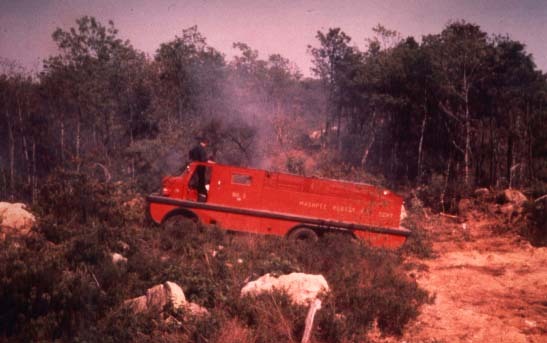 Barnstable County maintained several brush breakers on Cape Cod from 1939 to 1985. 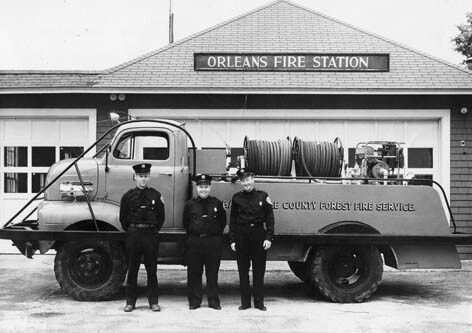 When radios were installed, the units were given radio designations as follows. No.1 became C-15. It was the Falmouth county breaker. No.2 became C-14. It was the West Barnstable county breaker. No.4 became C-12. It was the Dennis county breaker. The county patrol plane became P-18. the years. 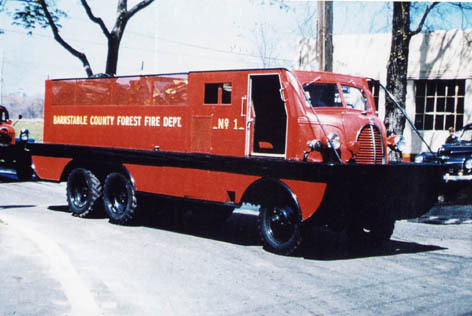 The first brush breaker was built in 1939 on a Ford cab over chassis. Robinson Boiler Company in Cambridge, Massachusetts. of water with a road speed of 30-40 mph. to the North Falmouth Station 3 in 1953. 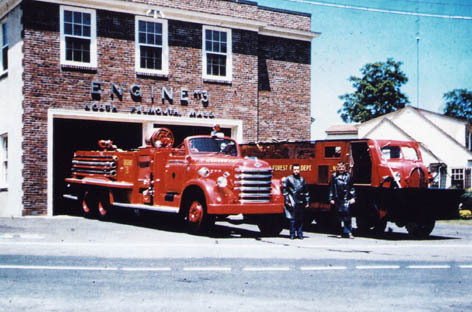 Shown here with the 1953 Diamond T Engine 3.
career in the early 1980s. after finishing service on the Cape. Marmon Harrington chassis, this brush breaker was built by Robinson Boiler. 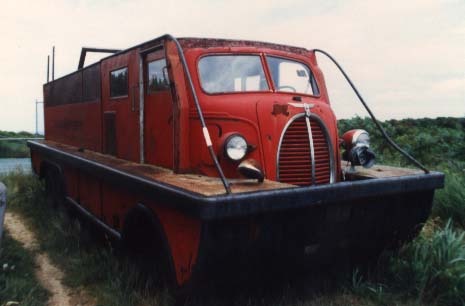 Also equipped with a 1000 gallon tank, it began service in West Barnstable in 1942. 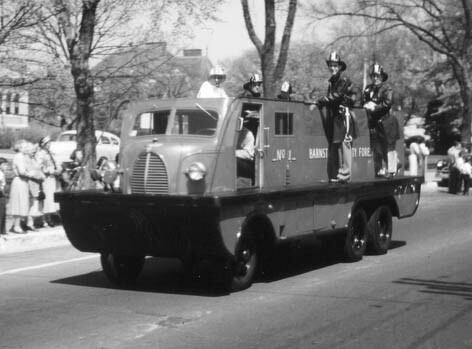 It served briefly in Cotuit and then back in West Barnstable until 1957. No.1 and No.2 had distinctly different front grills. May 8, 1957 1304 hours. 80 degrees, sw wind @25 mph. 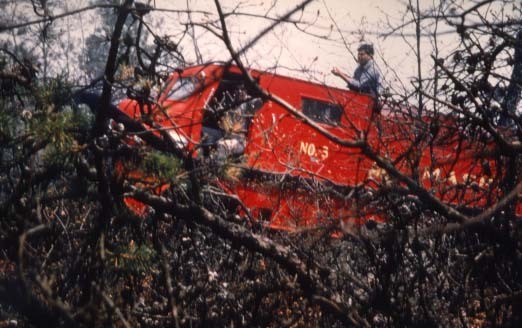 An F-89-J Jet out of Otis crashed into the woods 500 feet off Hay Road, Mashpee. breakers and tank trucks to respond." Falmouth (KCD 244) sent E25, T35, C15, E23, B20, B33, and Car 21. Bourne (KCD 497) sent B129, B127, and C120. Sandwich (KCD 498) sent B142, B143, and P144. C&O (KCD 760) sent B216, B217, and P210. 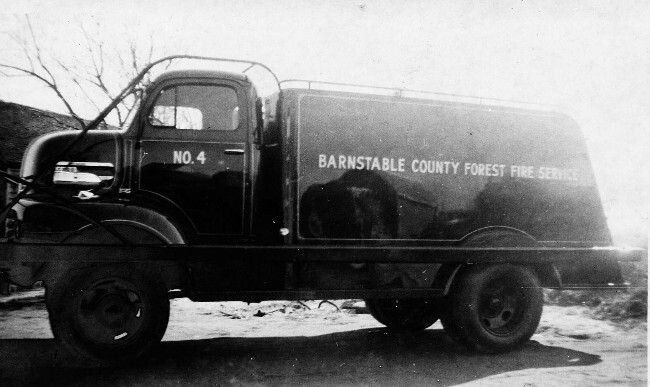 Barnstable and West Barnstable (KCB 781) sent C14 and B204. 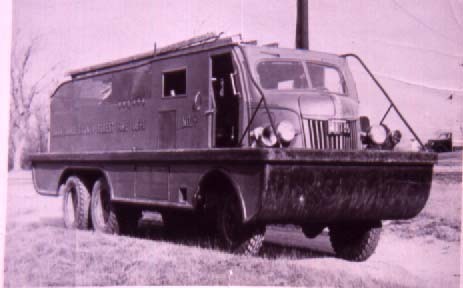 Mashpee E3 (1929 Maxim, formerly Fal E3) drafted and supplied trucks. to Ashumet Road and was 1 mile wide at that time. Cape units at this fire. 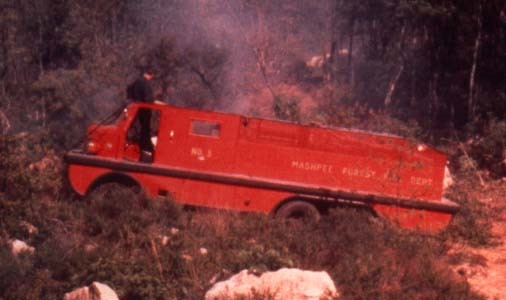 In July 1957, the Mashpee Fire Department purchased the former County No.2. 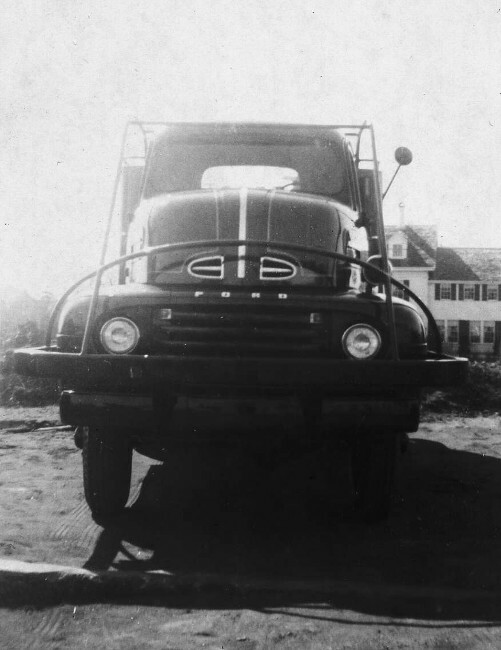 The 1942 Ford became Mashpee's first brush breaker, designated "250"
It was locally known as "Geranamo"
The Mashpee breaker responded to many fires in town and across southeastern Massachusetts. 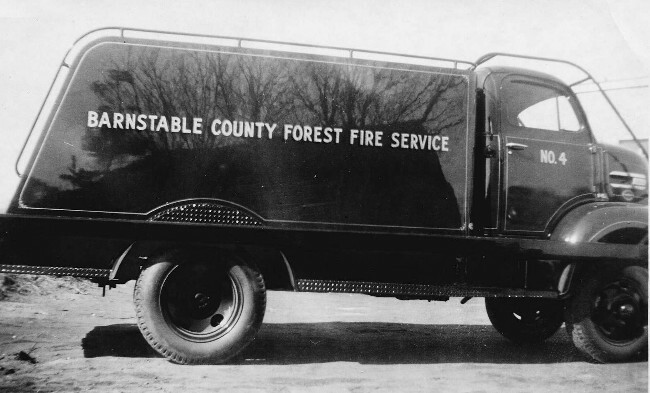 Barnstable County Breaker No.3 (C-13) was built in 1951 on a Ford chassis by Robinson. 600 gallons. It was also the only one of the county breakers with rear wheel drive only. All the others had all wheel drive. County No.3 (C-13) in Orleans. 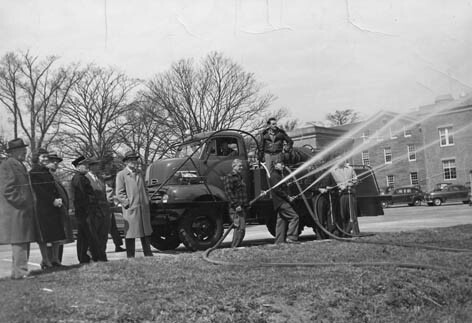 Barnstable County Breaker No.3 demonstrated at the county complex in barnstable. Boiler. 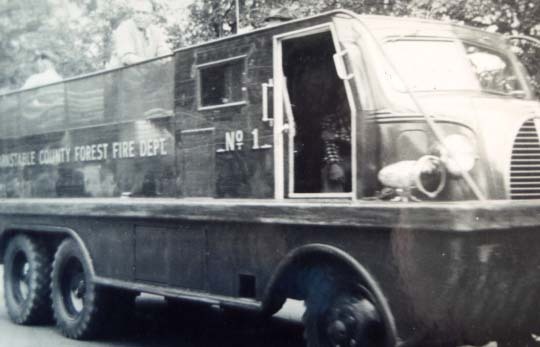 It had an 800 gallon tank and was assigned to the Dennis Fire Station. patrolled the lower Cape from the 1920s to 1950s. 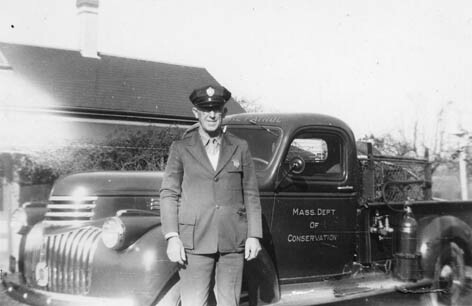 His last patrol truck was this 1942 Chevy. 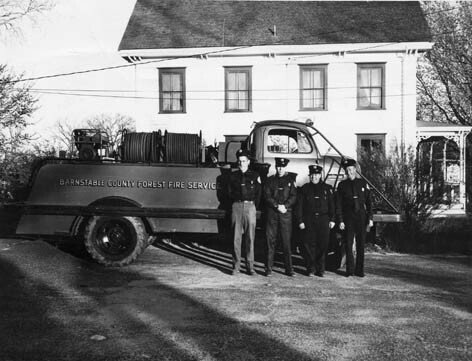 The state has maintained fire protection and fire patrols on Cape Cod since the 1920s.